Upon arriving in Sisters, I can’t help but notice that the town looks straight out of an old Western film. Even the local fast food franchise looks like a place you expect to see Clint Eastwood walk out of, burger in hand and a pistol in his waistband. Sisters is a welcoming town, with terrific views of the Three Sisters mountains. It feels as if everyone in town knows each other. While walking down the street, I overhear many joyous reunions, folks asking how business is doing and if someone’s daughter plans to swim at her school this year. To me, this pleasant little town reminiscent of simpler times has many great aspects, but one of the best is Sisters Coffee Company. An early-morning nip is in the air. 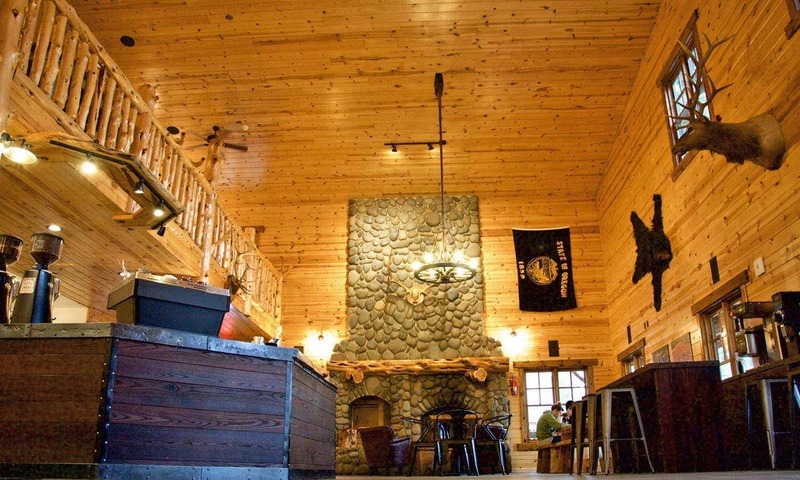 The shop resembles an intricate log cabin and is immediately inviting. It’s clear a lot of time and craftsmanship went into designing the shop. Everything is hand-carved and carefully placed. 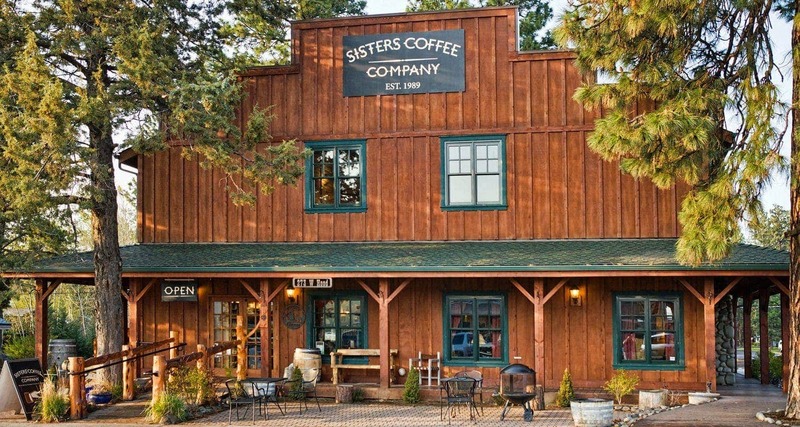 Ponderosa pine, grand fir, juniper and Western larch trees not only populate the town of Sisters, but they also find their place at the tables inside Sisters Coffee. The landscape and wilderness clearly had a big impact on the design of the Hood Avenue cafe. The animal horns and furs adorning these walls were all hunted from the shop’s founder and designer, Winfield Durham. Sisters has been around since 1989 and remains a family-run business to this day. The family’s connection to the surrounding Sisters scenery truly serves as the cornerstone for their business. 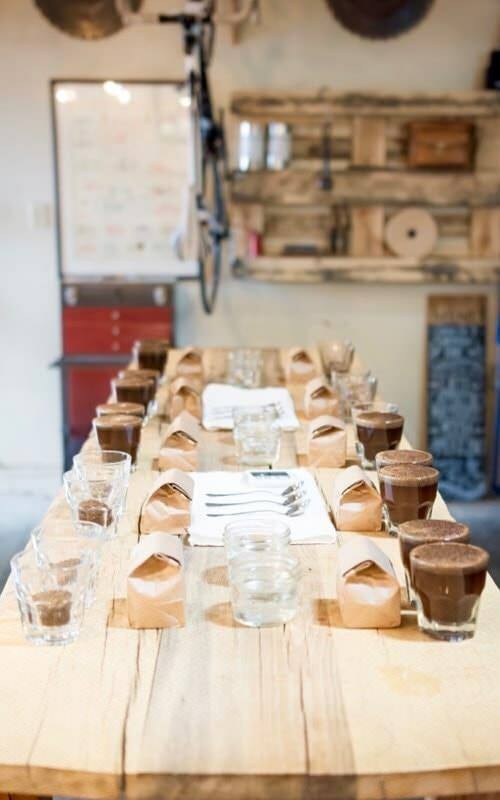 I had the opportunity to learn about how Sisters sources their coffee as a part of their roaster series — and taste it too. The Columbia Blend comes from the mountains of Antioquia, Colombia. It is a medium roast and has notes of stone fruit, lime and honey. The Black Butte Gold Blend, Sisters’ most popular and best seller, has notes of tobacco and chocolate with subtle hints of earth and cedar. It’s easy to see why the Black Butte Gold is a customer favorite, as it instantly became my favorite among their blends as soon as I finished my cup. Even with all the different variations offered, Sisters Coffee maintains a strong relationship with their farmers, and they take a trip to Central America once a year. The Hood Avenue cafe recently underwent a big remodel, a long-time collaboration between the three siblings, Jared, Justin and Jesse Durham, who currently run Sisters Coffee Company together. They have put a lot of thought into the design in order to improve the customer experience, and it is evident by the way they welcome customers. As a part of the remodel, Sisters Coffee Company is now the only coffee shop in Central Oregon that offers a full Modbar, with cold brew nitro on tap and new coffee cocktails. Personally, I am a big fan of cold brew, especially in the summer. Above all the other things I hold important when traveling, I have always been a firm believer of supporting all things local. Everything in Sisters Coffee, from their food menu to the wood that makes up the communal table, is local and intended to create a warm, hospitable feeling for all that come in. If you’re in town to go hiking, fishing, cycling, study the various wildflowers or even spot a few Rocky Mountain elk, you can’t leave without experiencing a fine cup of coffee. With a fire crackling in the fireplace, surrounded by postcard-esque mountains and a warm cup of coffee in your hand, Sisters Coffee feels like the home you always wanted. In case you aren’t planning a visit to Sisters any time soon (although you really should, trust me), Sisters Coffee Company also has a location in Portland’s Pearl District. You won’t get the same view, but you’ll still be able to sit back and enjoy a good cup of coffee from a roastery that is truly set apart from the rest. 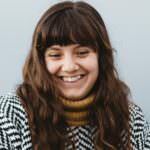 Jordan Hernandez is a Portland-based writer and former Southerner. She is founder and editor of Sapien Magazine and regularly writes and contributes to various publications both in print and online. You can find her camping, exploring and traveling through different parts of Oregon or next to the cheese at any party.